SAN DIEGO, CA–EVSI, (Marketwired – May 18, 2017) – Envision Solar International, Inc. (OTCQB: EVSI) (“Envision Solar,” or the “Company”), the leading renewably energized EV charging, outdoor media and energy security products company, announced that New York City has issued a three-year contract to purchase the Company’s EV ARC™ products. The contract has a posted initial value of $3.8M and an optional one year renewal at the end of the three-year term. New York City has announced that its first order will be for at least thirty EV ARC™ units in 2017, making it the largest single order of EV ARC™ products in the Company’s history. The first units purchased through this contract were delivered last week (May 10th) and were featured at the City’s 29th Annual Fleet Show at the Unisphere in Flushing Meadows. 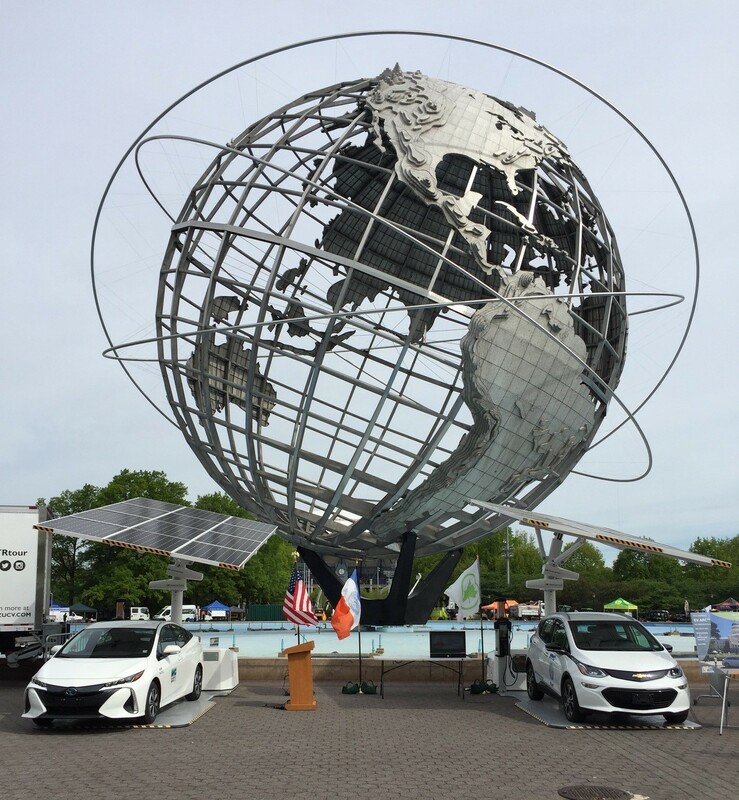 The EV ARC™ units charged EVs and supplied the event’s power needs before being relocated to their permanent locations at the World’s Fair Marina and Thomas Edison High School in Queens. New York has also ordered the Company’s unique ARC Mobility™ transportation system, which allows a single operator to pick up and move an EV ARC™ anywhere within a 1500-mile radius. The EV ARC™ units will be deployed across the five boroughs and will deliver solar powered EV charging to the City’s fleet of electric vehicles. Using Envision’s solar powered EV ARC™ products enables New York City to continue to execute on Mayor de Blasio’s NYC Clean Fleet initiative. Fleet vehicles which charge from the EV ARC™ are 100% emissions free, which is not always the case with grid powered EV chargers. The EV ARC™ product is also immune to grid interruptions, such as those experienced during hurricanes or terrorist or nefarious nation-state actions. New York’s use of the solar powered chargers will ensure that fleet vehicles remain in service during grid failures. The EV ARC™ model selected by the City is capable of folding down during a hurricane. It continues to generate, store and deliver electricity in its low-profile hurricane configuration. Each EV ARC™ is also equipped with an emergency power (E-Power) panel, which allows first responders and other vital personnel to use the EV ARC™ as an emergency generator during disasters or other grid outages. New York City will avoid utility costs through the use of EV ARC™ solar powered EV chargers. The fact that they double as emergency generators which need not be stored, fueled or maintained will generate further economic benefits. The disaster preparedness and resiliency capabilities offered by the EV ARC™ are unique within the EV charging industry and were a significant consideration in New York City’s selection process. Invented and manufactured in California, the EV ARC™ fits inside a parking space and does not reduce available parking in any way. It generates enough clean, solar electricity to power up to 225 miles of EV driving each day. The energy is stored in the EV ARC™ product’s energy storage for charging day or night or for use by first responders or others during grid outages. Because the EV ARC™ product requires no trenching, foundations or installation work of any kind it is deployed in minutes and can be moved to a new location with ease. EV ARC™ products are manufactured in the Company’s San Diego facility by combat veterans, the disabled, minorities and other highly talented, mission driven team members. Envision Solar, www.envisionsolar.com, is a sustainable technology innovation company whose unique and patented products include the EV ARC™ and the Solar Tree® with EnvisionTrak™ patented solar tracking, SunCharge™ solar Electric Vehicle Charging, ARC™ technology energy storage and EnvisionMedia solar advertising displays. Based in San Diego, the company produces Made in America products. Envision Solar is listed on the OTC Bulletin Board under the symbol [EVSI]. 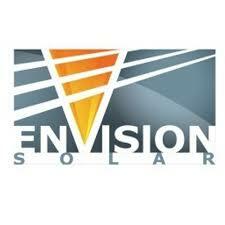 For more information, visit www.envisionsolar.com or call (866) 746-0514.